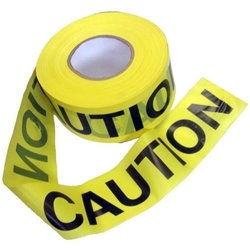 Non-adhesive .3 mil yellow tape. Printed "Caution". Each roll measures: 3-inches by 1000-feet.